Like every parent, I love my child beyond words. I want my young daughter to have the best opportunities in a peaceful, industrious world. I am running to represent the Second Congressional District of South Carolina because I am confident that our District can emerge from “Status Quo” Joe stagnation and work to create a better, more prosperous way for all. This “all” includes you. It includes my daughter and your precious loved ones as well. In fact, it’s a “peoples everywhere” kind of all, in the tradition of Dr. King. Several times a year, my daughter and I sit on the top steps of the South Carolina State House. We eat a picnic of crackers and cheese, apple slices, and grandma’s world-class chocolate chip cookies. We admire the view of the State House grounds. We discuss the meaning of history and symbols, and how “We the People” govern ourselves. The 3 Branches of Government. A construction paper poster hangs on our wall at home. 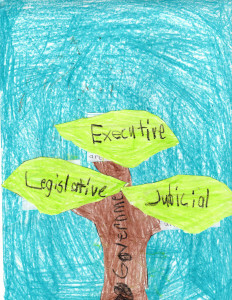 It’s one of my daughter’s school assignments—a tree with the three branches of government: Legislative, Executive, and Judicial. I asked her if she knows what Congress does—or at least what it’s supposed to do. She told me there are too many men and women in Congress to fit in the White House—that would make the President feel crowded. Also, people in Congress don’t wear robes like judges. Judges tell Congress if they’re writing good laws—which is what Congress does. Congress makes laws to keep us safe and free. Plus it pays the bills. I asked my daughter how she felt about the idea of my running for Congress. She said I should do it so long as we still can do bedtime reading. I told her I was confident the voters of the Second Congressional District of South Carolina would want their Representative to stay abreast of all things Harry Potter. 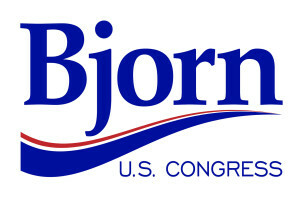 I’m running to represent the Second Congressional District of South Carolina. I’m running against “Status Quo” Joe. But much more importantly, I’m running for you. My opponent, “Status Quo” Joe, thinks Government is a four-letter word from which you need protection. That’s a common tactic used to trick people into voting against their own self-interest. The fact is, Government is “We the People.” We are Government. And the job of Government is to efficiently and rigorously link and protect individuals, communities, and industry. When “We the People” do our job as stewards of society, Government is a powerful, positive force. I am convinced “There’s a Better Way”—a better way for our district, for our state, for our nation. But we won’t progress as a society by being liberal or conservative. We’ll achieve success when we provide opportunities and security for all. That doesn’t mean compromising our values. It means ensuring that civilized values are represented in a just, prosperous society. Getting there, of course, is no easy task. SC Congressional District 2 has a critical choice to make. If our District continues following the dead-end political agenda of “Status Quo” Joe, our District will never find its way. We’ll never stand in solidarity and be linked in a common cause. We’ll perpetuate the culture and industry of enemy-making and live in constant, paralyzing fear. In short, we will never achieve progress. Instead, let’s partner to provide our community with increased job opportunities and a better quality of life. Let’s work together to keep our community safe, to build peace, and to ensure freedom. Let’s use our resources as wisely and efficiently as possible to the betterment of all. Our work together begins at the polls on November 8. Together, let’s vote for a better way. From the American Society of Civil Engineers to the U.S. Chamber of Commerce, there is universal acknowledgement that the overall state of our national infrastructure—from waterways to electrical grids to highway systems—is failing. In fact, things are so desperate that we’re in danger of becoming a Civilization dropout if we don’t set aside partisan ways to find and fund solutions. Yet my opponent “Status Quo” Joe Wilson has voted multiple times to let our infrastructure fall to pieces all around us! The citizens of the Second Congressional District of South Carolina recently survived a catastrophic 1,000-Year Flood. It doesn’t take an engineer to know that our most essential infrastructure is in dire need of repair. During our daily commutes, we shake our heads as we pass broken bridges, damaged buildings, and garbage-cluttered waterways. And, of course, natural disasters aren’t our only concerns, as our District is pivotal to the national nuclear power industry. Investing in a 21st-century infrastructure backbone must be a primary consideration for the next Representative of SC Congressional District 2. In fact, the entire South Carolina Congressional Delegation should stand in unison for the rebuilding of our state’s infrastructure. Government must do its job—and do it efficiently and effectively—so that our citizens never have to think twice about the systems that support their lives and livelihoods. For more than a decade, “Status Quo” Joe hasn’t done his job. But I will vote to rebuild America! Our campaign has been formally endorsed by the South Carolina AFL-CIO because of our strong positions on Living Wage and Workers Rights. I also support collective bargaining, as well as the elimination of right-to-work ‎laws and the expansion of employment protections for working families. Click here to read our detailed positions on Workers Rights, which has been received with enthusiasm by the Labor Community. Higher education has received major attention throughout the 2016 Presidential Campaign—and for good reason. In a knowledge-based economy, educated workforces prosper. And states with the highest per capita college degree rates lead the way in significant economic outcomes, including average annual income. That’s why both Democratic Presidential Candidates pushed hard for debt-free higher education. It’s also why South Carolina should be applauded for its strong technical college system, and for its bridge programs that help technical college students transfer seamlessly to public colleges and universities. That said, the college degree rate in SC Congressional District 2 remains far short of its potential—a statement you’ll never hear from “Status Quo” Joe. Nearly 60% of the adult population over age 25 are missing out on nearly $1 million in potential income! That’s the difference between having a high school diploma versus having a completed college education over the course of a lifetime. We must remove the economic burden of higher education and increase access for all. And we must create collaboration pathways for higher education and industry—because doing so always leads to innovation and increased jobs. We must also fully fund PK-12 education and support the work of our heroic teachers and education leaders who are preparing our students for life beyond high school. The National Education Association’s Opportunity Dashboard emphasizes an obvious—yet critical—principle: “Resources still matter.” Success at the student level, educator level, and school level requires assessing, and then providing, necessary resources. Presently, the Standardized Testing Industry results in billions of federal dollars per year being shifted away from direct spending on student, educator, and school needs. These federal dollars should instead be used to fund any number of critical public education resource priorities, and gradually move public education away from machinistic assessment to research- and developmentally-based assessment. Educators should also be empowered within their classrooms: from designing and grading student tests personally to creating their own lesson plans. Educators are the trained experts and should be treated as such. Healthcare is a basic human right. Yet more than 90,000 of our SC Congressional District 2 neighbors remain without healthcare. That’s more people than can fit in Williams-Brice Stadium. And even if you have healthcare coverage, medical emergencies can make paupers of anyone at any time. What’s worse, our poorest neighbors are locked out from receiving healthcare because South Carolina’s Governor refuses to expand Medicaid—a decision supported wholeheartedly by “Status Quo” Joe. I will work tirelessly to right this ethically criminal wrong. I will also work to ensure that our nation continues down the path of patient-centered healthcare research. Medical research funding in the U.S. is increasingly being used to study patient-priority needs. Think of it as “the customer is always right” healthcare research. This is good! Because our personal health problems are where our health research dollars should be directed. Simply put, good health leads to a high quality of life and economic prosperity. Why would voters settle for anything less? They shouldn’t—which is why it’s time to show “Status Quo” Joe the door. 2016 is the Year of the Woman in politics, but women continue to fight for economic, social, and political equality. Tragically, South Carolina ranks at the very bottom nationally with respect to deadly violence against women. In our state, women are more likely than women in any other state to be killed by men—especially by men they know, including husbands, boyfriends, and ex-partners. Our campaign strongly supports keeping guns out of the hands of domestic abusers. In South Carolina, women earn approximately 80% of what men earn for comparable full-time work. And certain majority female professions are mired in poverty-level incomes; for example, most childcare educators in our state are women with average annual incomes of less than $19,000! Pay equity is a top issue in our campaign, and I will fight hard to create a more just system. Approximately one-half of all pregnancies each year in South Carolina are unintended. With better access to birth control and reproductive health education, women and their partners will be able to make the best possible informed decisions about pregnancy. 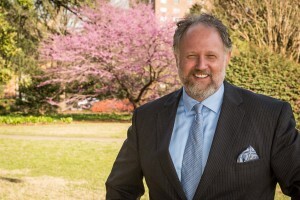 If I am given the privilege and honor of representing South Carolina’s Second Congressional District, I will work to help create a new South Carolina, where women are able to live free from violence; where their work is valued; and where they are able to make the best-informed decisions about their health. I would dishonor my family by issuing lip service support for our military. My family knows full well the sacrifice of military service. My uncle was barely past his teen years when he died serving his country. I have often visited the Vietnam Memorial and considered the avoidable war that stole my uncle from my mother, her best friend—the war that prevented a lifetime of mentoring from an uncle to a future nephew. While our troops have served—and do serve—their country valiantly, our politicians have all too often failed them. Military might has been flexed where rigorous diplomacy could have prevailed. And then tens of thousands of veterans are sent home to spend lifetimes wondering why so much has been sacrificed. And worse, these veterans encounter a government and culture seemingly indifferent to their needs. I pledge to be a Congressman who refuses to send you, your sons and daughters, and your loved ones to war without exhausting every possible alternative. Nor will I neglect the critical healthcare and transition needs of those who return from honorable service. At the same time, I do not demand a reduction in military funding. Instead, I am convinced that our military appropriations can be continually purposed toward more humanitarian and exploratory missions that serve not only the security and peace of our nation, but of all humanity. The Environment is such a monumental, and often controversial, subject that perhaps a fresh political perspective is in order. A famous scientist once referred to our planet as a Pale Blue Dot. This is a reference to a photo of Earth taken by the Voyager I space probe just before it exited the solar system. As one sees our fleck of a planet from 4 billion miles away, one is moved by a sacred duty to care-take the small corner in which we find ourselves. At times, it is easy to lose awe for our planet. But we must renew our respect and responsibility for the Earth and everything in it. Timber, agriculture, fisheries, and of course tourism—these are major state industries that depend on environment stewardship. We’ve all seen the economic and mortal consequences on humans and nature alike when water resources, air quality, and mining operation conditions are neglected. The citizens of SC Congressional District 2 need to approach the preservation and maintenance of our natural resources, our home, with deliberate care. That isn’t just philosophy and stargazing—it’s business common sense. And it’s a common sense that “Status Quo” Joe has lacked his entire decade-plus in office. This is why the League of Conservation voters has awarded “Status Quo” Joe a Lifetime Failing Score, and in 2015 downgraded him all the way to 0%. If “Status Quo” Joe doesn’t care about our planet, does he really care about you?